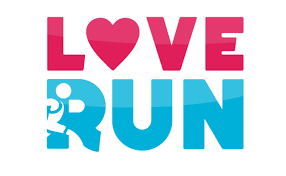 Come out an join us in a kickoff to your Valentine’s Day, Sunday, February 14th, for our LOVE Run. Come out in your best RED running clothes with your family, friends or loved ones (even the furry kind as animals are allowed on the trail), for a safe 5k (3.1 mile) run on the St Michaels Nature Trail with a short jaunt through the Marea Terrace development. This month, we are asking for donations of NEW underwear, socks, bras, undershirts and gloves for our local schools. The items will be split up between the local schools and distributed to kids in need of these items. These will be for kids of all ages (elementary to high school) so keep that in mind when picking something up. That’s it!! No money! No entry fee! Just a kind donation to our local kids for items that many do without. We will have on site registration and packet pickup starting at 7:30am on Sunday, February 28th and we ask that all runners be on site by 8:30am. Runners should park at the St Michaels Elementary School (200 Seymour Avenue) and walk down to the shop (929 S. Talbot Street) for our start. You can register TODAY by checking out https://www.webscorer.com/register?raceid=61422 and you can refer your friends to our website at www.tricycleandrun.com for them to register too.